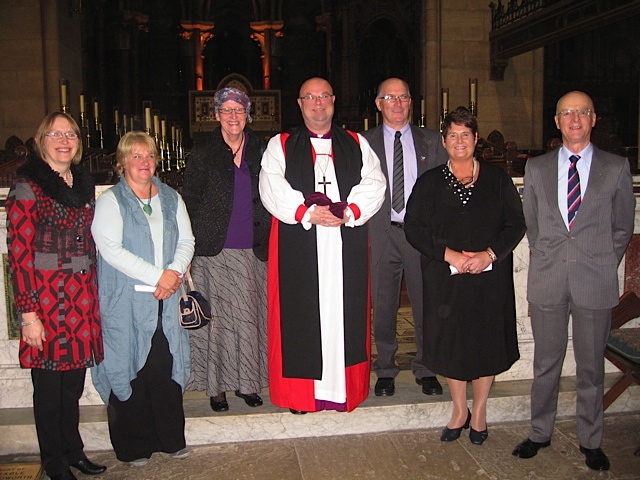 Six new Lay Pastoral Assistants were commissioned by the Bishop of Cork, Cloyne and Ross (the Right Reverend Paul Colton) at Evensong in St Fin Barre’s Cathedral on Sunday 21st October. Pictured (l-r) Sylvia Helen, Jennifer Kingston, Marjorie Garland, the Bishop, Sidney Bradfield, Agnes Wilson and Pat Culleton. This entry was posted in Bishop, Commissionings, Diocese, Lay Ministry, Pastoral. Bookmark the permalink.